All overall winners receive a plaque for their placement. HD gift certificates will only be awarded to first overall winners. Photogenic contestants must register at the merchandise table and submit one 5×7 horizontal headshot ($5 for every additional picture submitted) with a $25 registration fee. The photogenic award will be given to a recipient in the 12 & under and 13 & over. Awarded to a performance that HD judges would like to recognize for their outstanding choreography and excellence in their art form. All performances are eligible except solos. This award is inspired by Mia Michael’s quote, “When your spirit dances…your body will follow,” and is given to a soloist that inspires us throughout the competition because they truly dance from the heart. Passion speaks louder than turns, leaps & tricks and High Demand appreciates that and would like to recognize that quality in a dancer. HD values the respect dancers, teachers, studio directors and families give one another at competitions and want to recognize the studio that our backstage crew feels went above and beyond! Highest scoring group in the advanced 12 & under and 13 & over divisions. Must receive a platinum or higher and be at least five or more entries to qualify. Overall highest scoring entry from the entire competition in both the apprentice and advanced divisions. Must receive a platinum or higher to qualify. At the conclusion of the competition the HD judges will select the top performance (regardless of score, division, genre and/or category) that they want to see perform again in the HD Dance-Off! We also have a wild card nominee from the performance with the most votes from our DanceComp Genie app (solos are not eligible). The scholarship recipient will receive a dance class card to Broadway Dance Center in NYC. The scholarship is given in honor of Sgt. 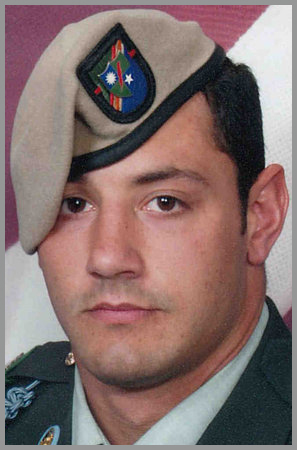 Alessandro Plutino who was killed in Afghanistan in 2011. Sgt. Plutino is a soldier High Demand holds very close to their hearts and had a deep love and passion for his country. High Demand would like to honor their hero by presenting this award to a dancer that embodies the same fire for their passion of dance and whose hard work is recognized on the stage. MORE INFORMATION ON ADDITIONAL 2019 SEASON AWARDS AND SCHOLARSHIPS COMING SOON!